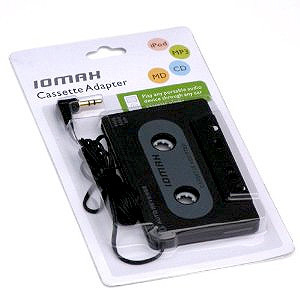 The IOMAX Car Cassette Adaptor is designed for anyone who has a cassette player in their car who wants to play something other than cassette tapes. 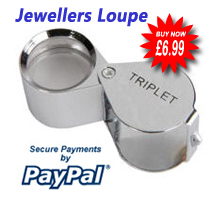 It includes all the bits and pieces you need to link your iPod, CD Player, MP3 Player or Mini Disc to your car stereo. You get a connection that's shaped just like a cassette tape that actually goes into the player. You get a lead with a 3.5mm jack plug that connects to the headphone or line out socket on your iPod, MP3, CD or Mini Disc player. Recently bought a decent 10 yr old run-around with a radio cassette deck. Having already converted most of my favourite mix tapes to mp3, including carrying a ridiculously massive collection of podcasts and music while on the go, this product needed to be put through it's paces. In short - buy it! It's a brilliant piece if kit that allows the longevity of the cassette deck - a defunct playback standard in light of advances in digital media. No more fumbling around a glove compartment stuffed full of tapes and cd's, the car is uncluttered. I get to listen to what I want when I want with the added bonus of not having to shell out further cost on a modern in car sound system. Excellent.